Choosing the colour schemes for rooms in your home is one of the most exciting parts of updating your décor. Different colours can give rooms a completely different feel. We all spend time in our bathrooms every day, so putting a little thought into your bathroom colours and making sure they’re right is a definitely good idea. To help, here are some of our suggestions for good neutral colours to use when decorating your bathroom. 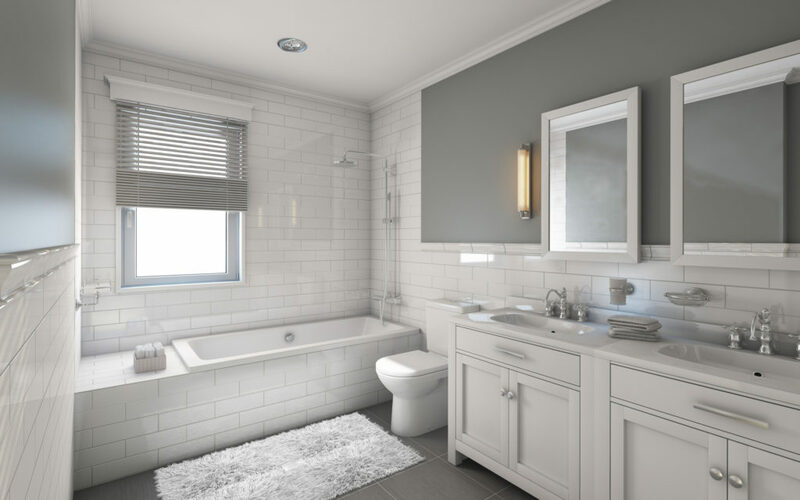 White is one of the most classic choices of bathroom colours, and a white bathroom design can do a lot of things for your room. Most importantly, though – it provides a fresh and clean appearance while also reflecting as much light as possible to make a room seem larger than it is. 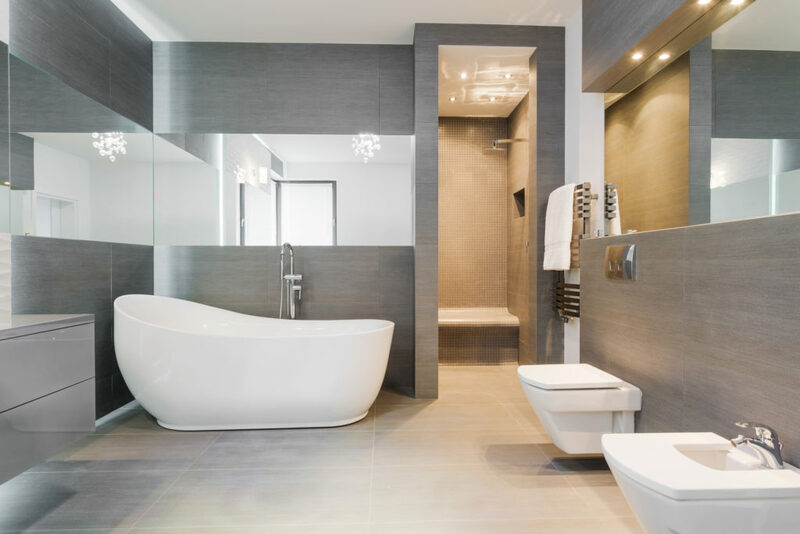 White bathroom walls can look either modern or traditional, depending on how you choose to decorate the rest of the room and what types of bathroom furniture you have. Beige often makes people think of boring interiors. But if used to good effect, it can create a great neutral look in your bathroom without being plain. Beige wall panelling can contribute towards a light, clean, and warm finish without feeling clinical. The warmer the shade of beige, the more depth the room will seem to have. 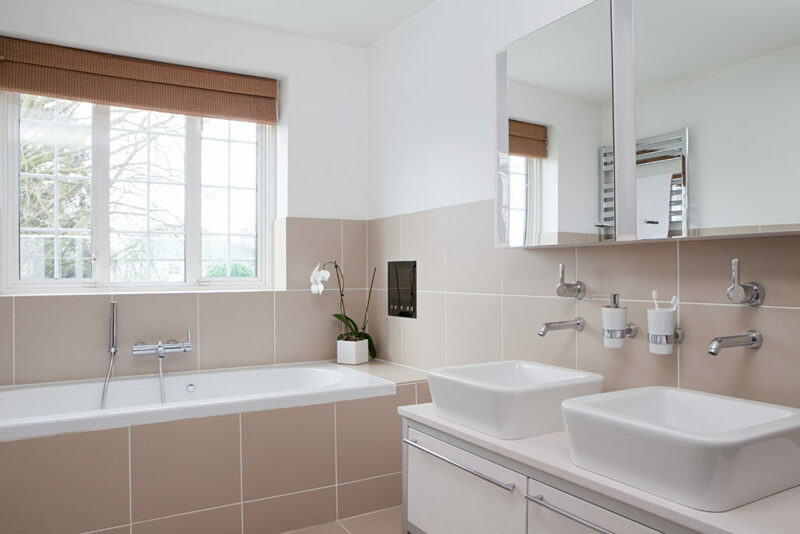 When it comes to bathroom designs, this makes beige an ideal choice, especially for smaller bathrooms! 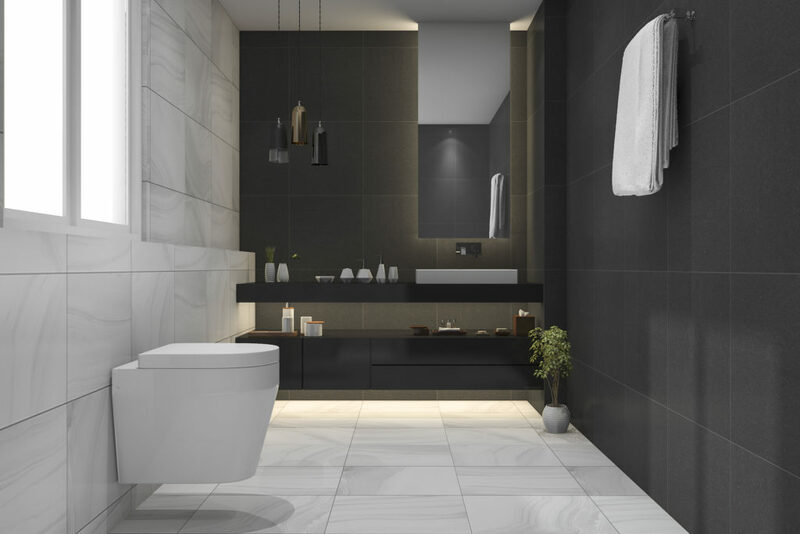 Black probably isn’t the first colour that comes to mind when you’re decorating your bathroom, but there’s more to black bathroom designs than you might think! Black wall cladding can give your bathroom a unique, modern, and sleek look that isn’t achievable with any other colour. If you want to make your bathroom a little bolder and glitzier, you can choose black wall cladding with a sparkle effect. Grey is one of the most versatile interior design colours. This makes it a popular option when considering bathroom colours. 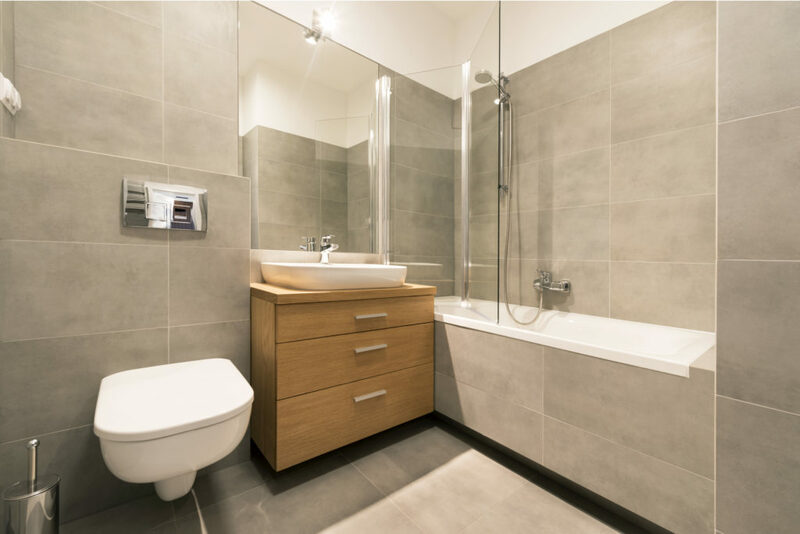 Grey bathroom wall panels are a great choice if you want to create a blank canvas that you can enhance with bold ornaments, fixtures, and fittings. If you’re looking for something a little more luxurious but don’t want to splash out on premium wall coverings, you can opt for grey panels with a marble effect. Choosing the colour for your bathroom really is an important part of the design process and can make a huge difference to how you see the room. Browse our full range of wall cladding, and bathroom wall and floor panels today. We’re sure you’ll find a colour that suits your design dreams.